The Geek Culture Forums! : Solstice Greetings! » The Geek Culture Forums! » News, Reviews, Views! » Your News! » Solstice Greetings! May you all experience awesomeness on this Solstice! It's 54 F / 12 C here, following utterly freezing weather of late - I think that's pretty awesome! Best wishes of the Solstice or season to all! The little people are playing! 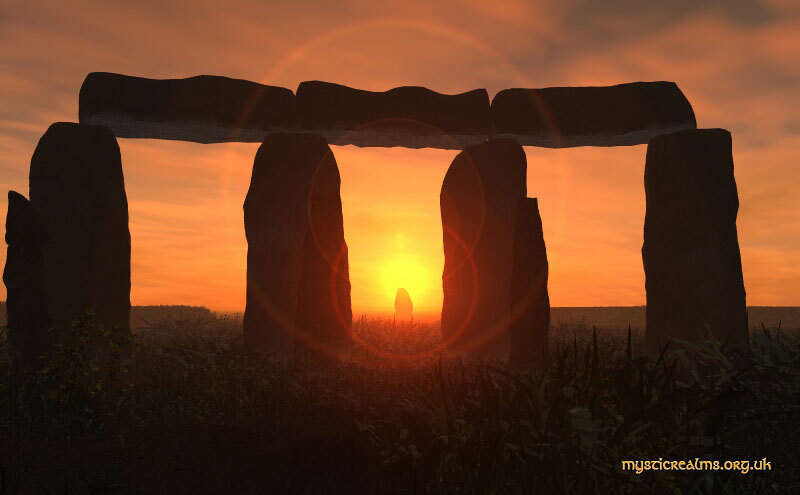 i dont think stonehenge lines up on the solstices any more due to precesion of the earths rotation. TFD, Neat photo, I am guessing that you might not have been there. I myself was on the tractor using the Snow-blower clearing the drive and turn around. Today at that time it was 4 degrees F. below freezing so ~-2 C. I wish every one Yule Blessings. Lets talk about ancient astronomers, they were probably the first Geeks, with very long periods of observation and crude instruments they figured out the orbital paths of most of the larger and brightest stars. Temples to the stars were constructed on every continent, They accrued a vast treasure of knowledge. Lets talk ancient astronomers, those were probably the first Geeks, with very long periods of observation and crude instruments they figured out the orbital paths of most of the larger and brightest stars. Temples to the stars were constructed on every continent, They accrued a vast treasure of knowledge. People often underestimate the intelligence of the ancients, they seem to forget those people were the same species as ourselves. I once read a description of a stone circle that was almost perfectly circular, the author thought it amazing that the ancients, with no knowledge of modern geometry, were able to make such a perfect circle. To make a circle, you need a stake and a piece of string, any fool could work that out. What's really impressive, the ancients built a computer to predict eclipses, out of stone. The stone-agers who worked that out were far smarter than me. A happy solstice to you all! Solstice marked 1year smoke free. Best of the season to all! Woo-hoo! Well done, macmcseboy - keep up the good work! macmcseboy, wow, and of course a MAGNIFICENT VALOUR! Congratulations on getting the monkey off your back,macmcseboy, Good on Ya.